On first sight, the trailer looked like your usual PG-13 fare and the fairly high budget of 80 million Dollar also gave reason to believe that the studio would try to make it back with the more lucrative rating. But FilmDistrict, still fresh in the distribution business, flexes its muscles right from the start. 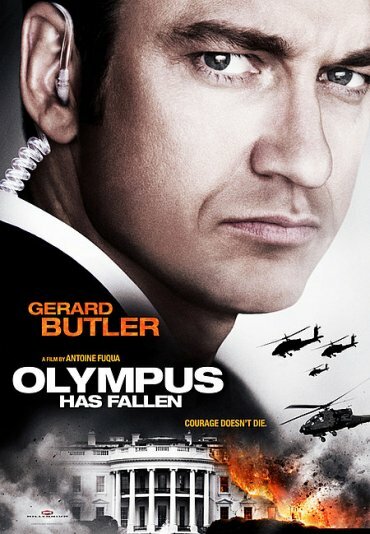 Olympus Has Fallen itself doesn't bother trying to hide the fact that the basic concept copies Die Hard. Terrorists claim a building, have hostages and rescue missions from the outside are unsuccessful. Therefore, one man has to safe the day. Yippie-kay-yay...or not. Even though the trailer shows some weaknesses in the CGI department, the "R" rating should make the film more interesting for action films by a whole lot. Theatrical start in the US is on March 22nd, 2013, and so there's still enough time before a similarly plotted film called White House Down by Roland Emmerich starts in summer.